May I show you our wares we have available here in Ye Olde Religion Shoppe? Our main display shows Christianity, on special today for the not too discerning customer. See how popular it is. See how it solves all existential problems with one fell swoop. With absolutely no capital outlay on our side we offer you, in writing, a guaranteed happy afterlife, and an absolute written guarantee that you will never enter the eternal burning hell. How can you argue with these things? Can we really say these things are not true? Is it not better to rather be safe than sorry, so very sorry - for ever? And you have to admit, the very thought of smugly looking at those heathen sinners over in hell for the rest of eternity does have a certain attraction. Serves them so right for laughing at you. And, while Christianity offers (of course) the ever-present Omni-God, like our Islamic and Judaism ranges, Christianity offers so much more. Here, if you accept the offer within the next hour, you also get ...... are you ready for this ..... Jesus !! Your very own friend, whom you will have a personal relationship with. Feeling lost, sad, scared .... your troubles are over, because Jesus loves you. He is always with you, and you can chat with him at all times. He understands you, not like those other bastards. Choose from our wide variety of Jesuses - like Sven Jesus, the blue-eyed Caucasian Jesus, Buddy Jesus, Hero Jesus, Crack-Whore Jesus, Biker Jesus, Political Jesus, Environmental Jesus and so many more. In fact, why don't you create your very own, with our Biblical Interpretation Kit? And the chances of you not finding a tailor-made Christianity just for someone as special as you - nil, I tell you, nil. We have over 40,000 versions available in stock, with more arriving any time (ask about our brand new African Christian Ancestor Worship Special). But, let me assure you, if it should happen that somehow you are not happy with our range we can design your very own brand right here and now. For a small extra fee you even get to call yourself Pastor X. We have over 2 billion customers, all willing to attest to the sheer wonderful experience that is Christianity. It just has to be true. Put an end to all life's pesky questions on science, morality, decisions, responsibility and stop fearing anything at all. Why think, why wonder, why bother with "I don't know" when you can have all that wonderful, unquestioning Christian Certainty. Answers, my friend, Answers, we have them all. Who made us, where do we come from, where are we going - easy. Buddhism - too hard, Islam - all those prayers, Judaism - oy, so many rules. Ah Christianity - all the answers, all the salvation, all the time. Just give your heart to Jesus, say I'm sorry and accept that you are a sinner and dirtier than filthy rags. Christianity also provides endless opportunities to bully and manipulate other people - especially the young ones. This makes it a remarkably good religion for the parent or teacher. So, shall I ring one up for you? I like you Corky, good, honest vitriol always appeals. Thought I'd add another (hopefully) thought provoking comment to one of your blogs. We have decided as global policy in our modern world that the following are heinous crimes against humanity and therefor unacceptable - racism, slavery, genocide. Read any holy book of the Abrahamic religions and you will find that God not only endorses but in fact commands us to practice all three of these despicable crimes. The obvious question that springs to mind is, what chance do we have as a species when more than half the worlds population believes in one of these religions? No, John Thomas did not claim divine inspiration for himself. Others have made that claim for him. See the article on "John Epps" on Wikipedia for where John Thomas got his ideas and doctrines. 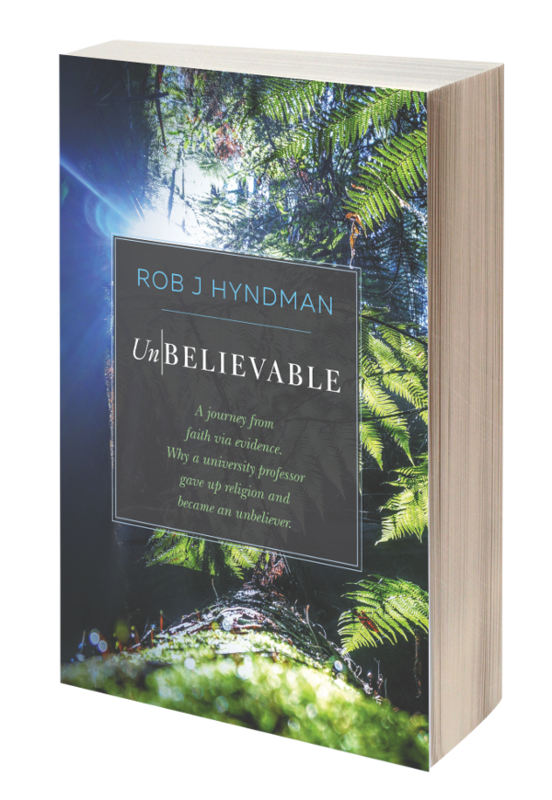 If you are a former Christadelphian you were given valuable scriptural truths and then sold a colossal falsehood that there is no supernatural evil! The Christadelphian treatment of Satan and demons is an amazing assault on the text of Scripture and a self-inflicted wound to their otherwise excellent treatment of original Christianity. Go to my site at restorationfellowship.org and I have written much on this subject. That the Trinity is not in the Bible is well known to many scholars. But the notion that we are all Satans is fantastically untrue to the Bible and makes Jesus a deceiver. I'm positive that you are correct in assuming that Jesus and the early Christian did believe in Satan and demons/devils. Quite possibly they were also familiar with the book of 1Enoch and considered it to be scripture. Jude quotes from it and Jesus is called by the title of "the Son of man" in the gospels. In that book, Azazel is the angel who was in control of the earth. Therefore, it would make sense that the tempter of Jesus was that same being because giving control of the earth to Jesus was part of the temptation. Fragments of the book of Enoch was among the Dead Sea Scrolls, so the book was possibly Essene. This would also make a positive connection between Jesus, John the Baptist and the Essene/Nazoraens.